We are engaged in offering high quality Vita Packing Machine to our valuable customers. This product is used for packing of tin boxes that are filled with cashew nuts. Offered product is highly appreciated for its dimensional accuracy, sturdy construction and easy operation. To ensure the flawlessness of our range, it is fully tested by our team of experts before being delivered at our valuable customers’ premises. 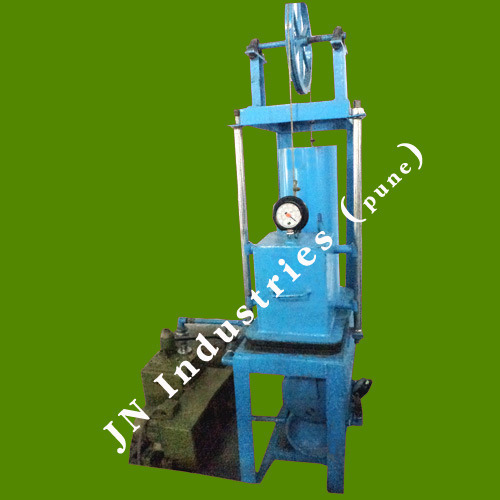 We, JN Industries is one of the leading manufacturers and suppliers of Cashew Nut Processing Machine and Industrial Machine and having more than 10 years of experience. Our effective product range includes automatic cashew nut cutting machine, manual cutter and cashew peeling machine. These products are manufactured under the guidance of highly experienced professionals, to ensure high standards of quality. Owing to high performance of offered machines, we have been able to gain satisfaction of maximum number of customers that resulted in getting large number of both repeated as well as new orders. Our products are highly appreciated for their energy-efficiency, easy operations, and eco-friendly nature. Due to our sincere efforts, we have been able to develop a vast clientele.